Black Bears forage for food and will eat almost anything, including plants, roots, nuts, berries and fruits. While Black Bears are omnivores and have been known to eat small animals like rabbits and rodents, they are not very effective predators. 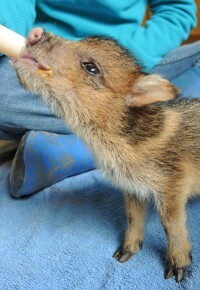 Here at Southwest Wildlife we keep in mind the varied diet that they would have in the wild. 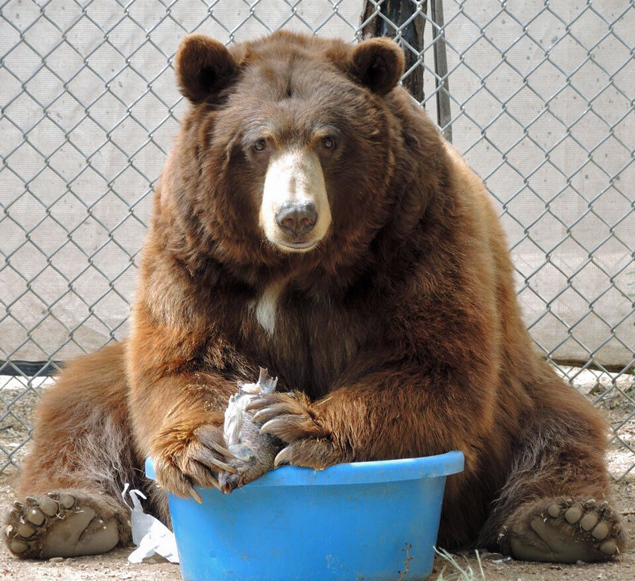 We typically feed our bears meat and/or fish, fruits, vegetables, high-grade dog food and peanuts. Bears love to eat, and ours are no different. Can you say foodie, bottomless pit, hollow leg? However, there are some foods they just DON’T LIKE! On tour the guides can be seen slathering the fence with their favorite: peanut butter. Crunchy or Creamy you ask? Skippy, Peter Pan or Jif? The truth is that our bears prefer creamy peanut butter with plenty of sugar. Although no salt/no sugar peanut butter might be the healthier option, our bears won't touch it! Visit Southwest Wildlife Conservation Center and check out what’s on the menu for our bears today.